Have you ever wanted to view two PowerPoint presentations at the same time on a single monitor? Viewing two presentations at the same time isn’t hard, it just isn’t super intuitive if you’ve never done it before. 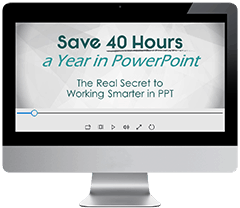 Below is both a video and written PowerPoint tutorial for quickly pulling this trick off. Navigate to the Slide Show Tab in your Ribbon, and select the Set Up Slide Show command to launch the Setup Slide Show dialog box. 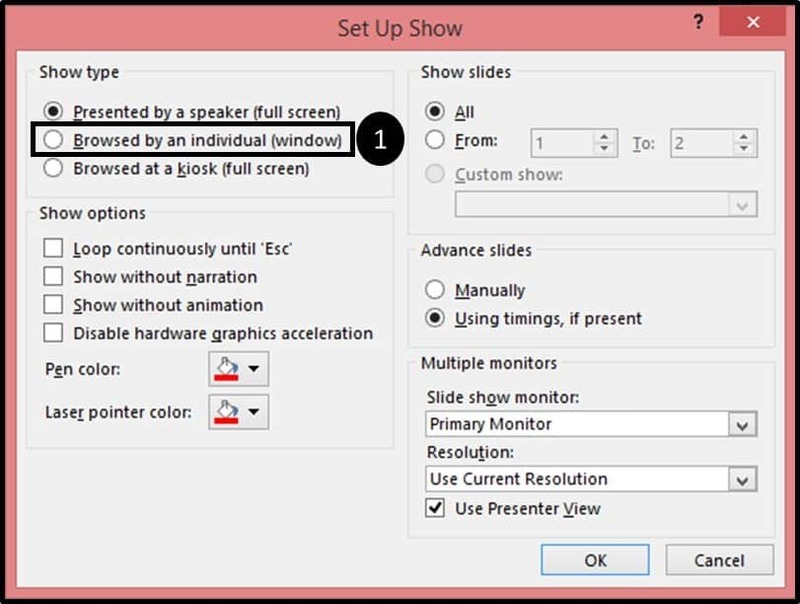 Then close the Setup Slide Show Dialog box to return to the Normal View of your presentation. Once you are set up to Browsed by an individual (window, simply run your slideshow and resize your window to fit your screen. You'll want to do this for each of the presentations you want to run at the same time in Slideshow mode. 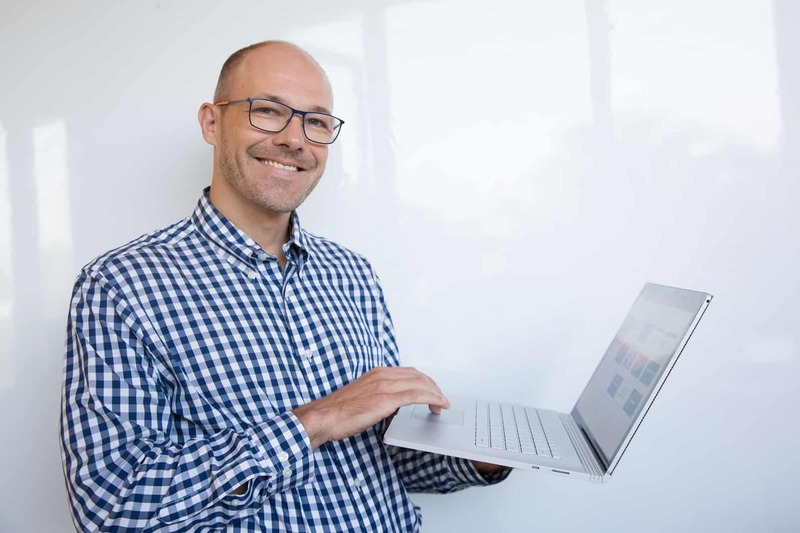 Note: Keep in mind that when presenting multiple PowerPoint presentations at the same time, each PowerPoint presentation needs to be manually advanced just like any normal PowerPoint presentation you are running. 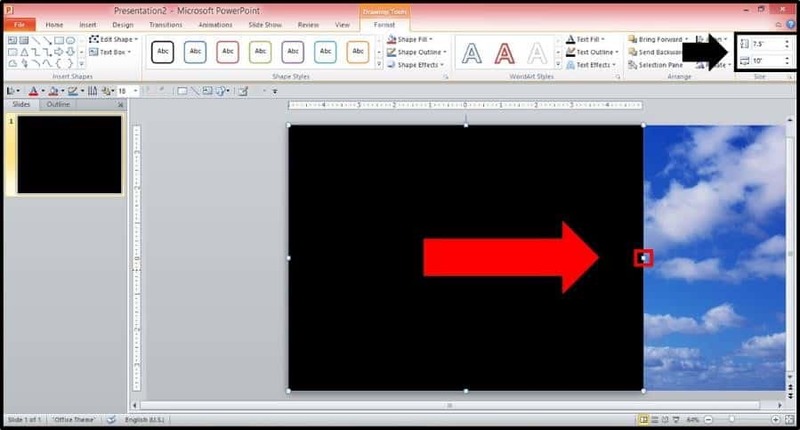 To learn your PowerPoint slide show shortcuts, see top shortcuts #8 and #9 in the video below. To learn more keyboard shortcuts like this, see Our 80 favorite PowerPoint shortcuts. Repeat this same process of your other PowerPoint presentations and then resize them to fit on your screen. 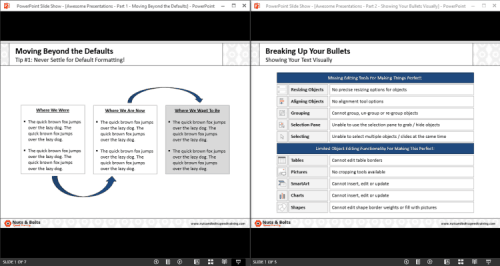 You can now view and show two PowerPoint presentations (or more) at the same time on a single monitor. Just make sure you can keep track of where you are.